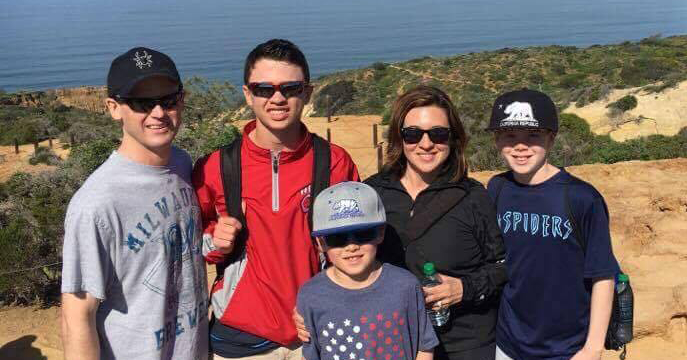 Join Jon and his family as they raise money for the Lemon Climb, an event run by Alex’s Lemonade Stand Foundation, raising money to battle childhood cancer. THANK YOU! Our two-year-old son had been experiencing breathing troubles for some time. He had been diagnosed with bronchiolitis and other things, but they weren’t finding a solution. Finally, an x-ray. And the discovery. I hung up. Stunned. Began for the exits. My boss then approaching, I looked down as I walked. Tears streaming. I attempted to explain. Unable, she guided me out. I met Lisa and Michael in the hospital. He was poked, prodded, and scanned. We waited. The examination room (meant for two, but now including several relatives) was silent. Lisa, pregnant with our second son, sat with Michael on the examination table. I was standing. Mind racing. The door opened. The doctor entered. Blonde, wearing a white lab coat. Quiet. Reflective. Careful. No eye contact. Searching for the right words. There were few words. Or I didn’t hear any before or after. Lisa immediately clutched Michael closely and cried. Hours passed. They may have been minutes, but they were the longest minutes. I would eventually leave that room to find myself alone in a hospital bathroom. Frantic. Scared. A phone call to my parents. A desperate negotiation with a God whose existence I both questioned and needed more with each passing second. Fearing what the future might bring. Don’t Google neuroblastoma. It’s awful. It’s rare. And when it hits your child, the end result is rarely good. But we were given hope. An operation was needed. The surgeon wanted to wait to see if Michael’s breathing would improve, not knowing whether it was caused by the tumor. We waited. It didn’t improve. Hugs and kisses for our Michael as the anesthesia set in, and we were guided to the waiting room. A room of love and warmth, as it was stuffed full of concerned friends and relatives. The surgeon walked in. Confident. Called us all to him like a quarterback calls a huddle as he provided the play. Michael’s lungs were deflated, one at a time. Holes were created in him. The golf ball-sized tumor, lodged between his aorta and spine, was cut away. Slowly, carefully. Pulled out. We greeted Michael, finally waking, following his surgery. His face puffy and bruised. Countless tubes attached to his tiny body. Back in his own hospital room, the medication kept him from feeling pain or from speaking much. His mama cuddled him in his bed while I slept on a nearby cot. This was the worst of it. It would soon be another day. And it would get better quickly. Scans and samples every month. Every three months. Every six months. Every year. Distracting him with a toy as he goes into that machine again. Waiting for results. Panicking over false spikes. Relief over confirmation that everything was okay. I’m happy to report that there is a happy ending to this story. Michael was 2 1/2 years-old when this happened. This summer, he turns 16. Michael is a healthy, smart, happy, kind, and caring teenage kid. Not a day goes by that I don’t remind myself how lucky we were. So many families aren’t so fortunate. My heart aches for them. Prior to this experience, I was comfortably complacent. Happy and satisfied. Willing to let time slip away. We are all given moments like these as a reminder. Sometimes we listen. I suddenly appreciated everything more. I valued time with my family more. I paid attention to and appreciated the little things. I tried to ignore those things that mattered so little. I saw urgency in the moment. About six months after Michael’s surgery, the first of his brothers was born. I took time off to be with Michael, Ryan, and Lisa. I never returned to that job. I chose to work for a company around the corner, rejecting the wasted hours of a daily commute. I’d soon take advantage of an opportunity and do something crazy. We moved from Colorado to New Jersey, where I’d accept an incredible job with the National Basketball Association. A job I didn’t feel like I deserved. But one that I wouldn’t dare pass up. Two-and-a-half years later, a decision just as crazy: I left that amazing job so that we could go back to our quiet, comfortable life in Colorado, where I would telecommute for a startup game developer. That lasted six months. I was laid off. I waited. Took a job with American Cancer Society, where I would again work from home. Two years later, I was laid off again. Our experiences with childhood cancer put me on this path. I would not move my family again. I would not waste hours on the road in a commute. I wanted control over my life. That’s why I’m here today. Everything we went through, now more than 13 years ago, provided the daily reminders of what is truly important. This is why I’m an entrepreneur. A year after Michael’s diagnosis, the Today Show played in the background. We heard the words “childhood cancer” and then “neuroblastoma.” We then saw the story of the courageous Alexandra Scott, a young girl battling childhood cancer. Weak and sick, Alex told her story of starting a lemonade stand. About how she wanted to help other kids like her, one cup at a time. About how she raised $2,000 for that cause, and then others helped her raise another $100,000. 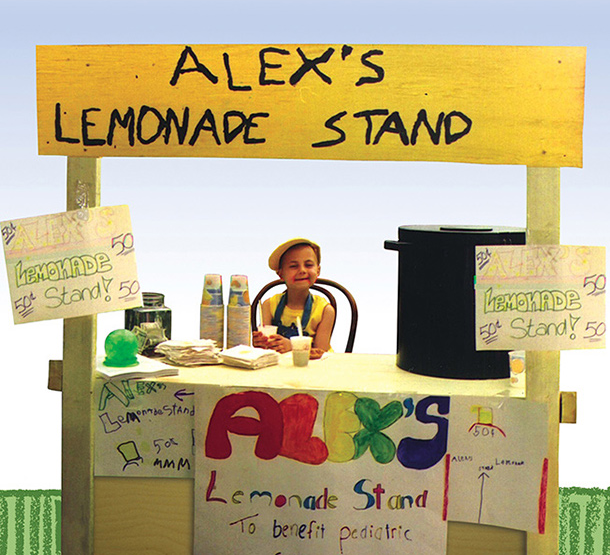 Alex’s Lemonade Stand Foundation was born, and we were hooked. We dedicated ourselves at that point to do all that we could to further Alex’s message. Unfortunately, Alex was taken by the disease. But her message carries on. ALSF has now raised more than $100 Million for childhood cancer research, and one of the biggest breakthroughs has been in the treatment of neuroblastoma, the form of cancer that Michael and Alex shared. 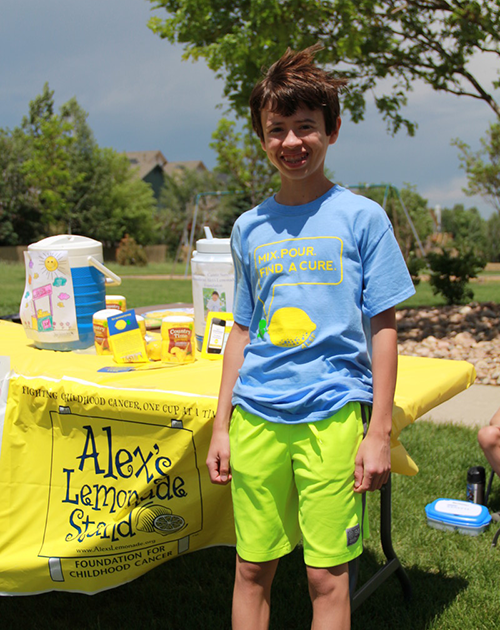 Every year since we first heard Alex’s story, Michael would hold a lemonade stand to benefit ALSF. Over the years, he’s raised more than $20,000. But we’ve always wanted to do more. Ever since we were introduced to Alex Scott, our dream has been to make a difference. To someday be able to do even more. 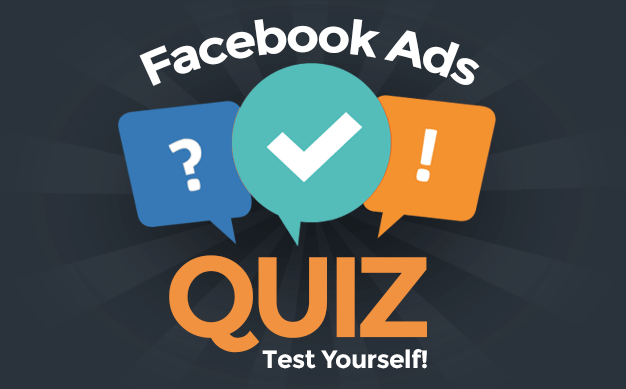 Now that I have my own business and things are going well, what can we do? This is a conversation I’ve been having with Lisa lately. The first step is to sponsor the Lemon Climb, an Alex’s Lemonade Stand Foundation event here in Denver. Will you join us in our support of this great cause? You can donate to our team — any amount counts! For my family, this is only the beginning. I look forward to doing more for this amazing organization. Thanks so much for your support! Everyone has their story. Every entrepreneur has something that drove them to do what they do. For me, at my core, this was it.